Infectious tumor-like lesions can be defined as tumors whose histological examination and microbiology demonstrate the infectious origin. In practical routine, this situation is quite frequent, especially in developing countries where some infectious diseases are endemic and most often diagnosed in a late stage. In any country the diagnosis needs a multidisciplinary approach facilitated by a team of physicians, pathologists, radiologists, and specialists in microbiology and parasitology. The clinical spectrum is wide depending on the target organ, the time course, and the infectious agent. Numerous infectious agents may cause tumor-like lesions: bacteria, viruses, parasites, and fungi, able to induce localized and chronic inflammation that expresses the partial or complete inability of the host to eliminate the infectious agent. In Table 2.1 we summarize some clinical conditions where the infectious agent induces a tumor-like lesion and the histological patterns allowing an accurate diagnosis. Hamodat M. Leprosy. PathologyOutlines.com website. 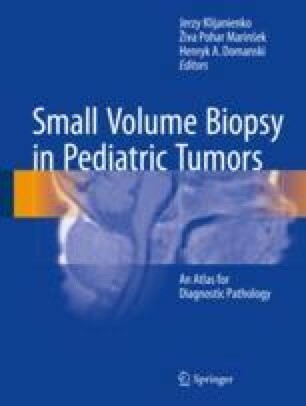 2016. http://pathologyoutlines.com/topic/skinnontumorleprosy.html. Accessed 22 Mar 2017. Antunes SM, Vieira H, Brito A, Oliveira MH. Cervical nodular fasciitis in a 17-month-old child. BLJ Case Rep. 2013;2013 https://doi.org/10.1136/bcr-2013-009794. Shea CR, Boos MD. Langerhans cell histiocytosis. 2009 (updated 2017). http://emedicine.medscape.com/article/1100579-overview. Accessed 22 Mar 2017.